Vector graphics with a sticky note with a message. 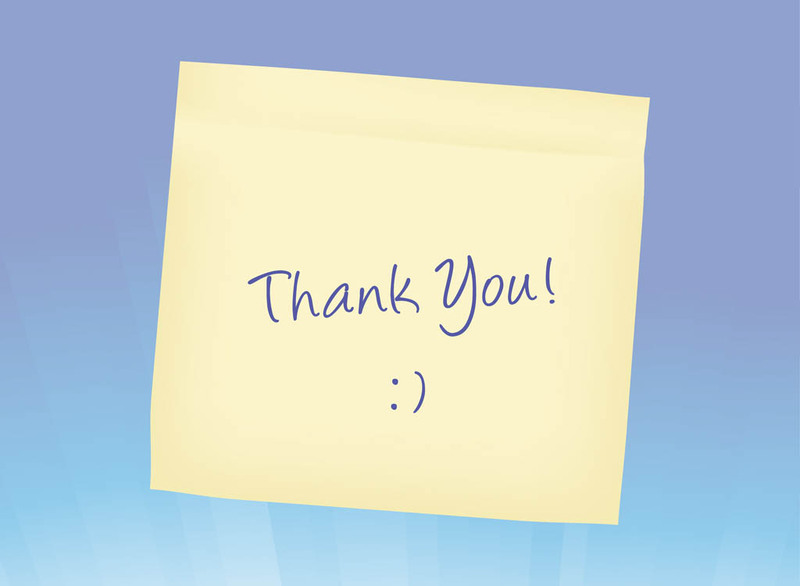 Square piece of paper with hand written text reading “thank you” and a smiley emoticon. Free vector graphics to create thanking, grateful, emotions, positive thinking, friendship, office supplies, stationery, paper and notes designs. Tags: Message, Office Supplies, Paper, Smiley, Stationery, Text, Thank You.